With the spectre of the ICC World Cup 2019 looming large, it is looking increasingly likely that IPL 2019 will have quite a few superstars giving the tournament a miss. Already several T20 stars have announced their intention to not put forward their names in the IPL Auction 2019 while some boards have already announced strict guidelines regarding the date until which they can take part in the tournament. 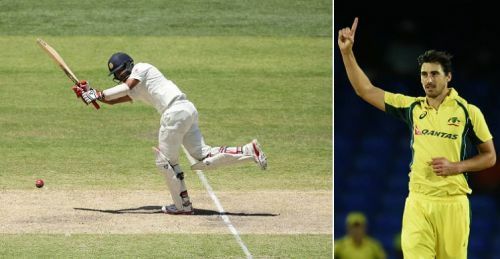 While the IPL Auction 2019 is around the corner, the bigger story is the start of the Test series between India and Australia. While it will be the hosts who will be happy at the end of the first day's play, India might have more reason to worry with a star performer suffering a minor setback in Adelaide on day one. Here are all of today's important developments from the cricket world. Pakistan had to toil hard on day four of the third Test against New Zealand and picked up just two wickets in the entire day as the visitors strengthened their grip. But one of those two wickets was picked up by Yasir Shah, which helped him break an 82-year-old world record. The Pakistan leg-spinner broke the record for being the fastest to 200 Test wickets. Australian leg-spinner Clarrie Grimmett previously held the record when he got there in his 36th Test, against South Africa in 1936 but when Yasir dismissed William Somerville on day four, he got there in just 33 Tests, thereby breaking the world record. His figures of 14/184 in the previous Test not only helped his side level the series but also help him record the second-best figures by a Pakistan bowler in Tests, behind only Imran Khan's 14/116. He now has 27 wickets in the ongoing three-match Test series against New Zealand and will be looking to add to his tally on the final day of the series as Pakistan look to come from 0-1 down to claim a 2-1 win in the series. However, that will not be so straightforward as Kane Williamson and Henry Nicholls have added an unbeaten 212 runs for the 5th wicket to give them a lead of 198 going into the final day.